Drying a water-damaged property may seem pretty straightforward, you know… put in some fans and a dehumidifier, right? Well, not so fast! There is a plethora of science and wondrous stuff when you look down deep at it. 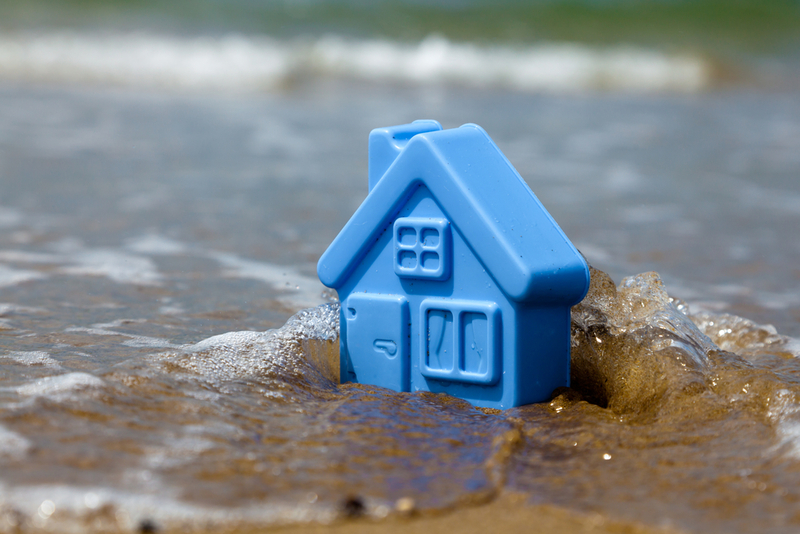 Here we look at just three of the many fascinating facts involved with water damage. Explain these things to the property owner with a flood and they will sit back and relax and know everything will be done right. Or at least sound that way! Did you know that it is 1,200 times easier to physically remove water than it is to evaporate it? That’s why a thorough extraction of water is the best approach and can reduce drying time and further mitigate damages. Think of it this way, soak a bath towel and lay it out to dry. Take another identical towel and soak that as well, but wring it out before you lay it out to dry. The towel you physically removed the water from first will dry in a fraction of the time. Did you know that drywall exposed to standing water can wick up the wall at a rate of one inch per hour for the first 24 hours? If left untouched for a few days, it will eventually make it all the way up to the seam at the four foot mark and then you have some serious problems. Extracting standing water immediately stops the wicking and can reduce your drying time by more than a day. So don’t sit around and sleep on what to do when you have standing water, get it out! As the photos show, don’t trust your eyes (or your hands feeling the walls) to determine how high the walls are wet. In the first photo, to the naked eye, these three drywall samples appear to be the same level of wet, however, when you use a thermal camera you see the significant difference in wicking that occurred between eight hours and 16. This may sound contrary to reasonable thinking, but it’s true. If you properly dry a wall where water wicked up the wall, the wall actually gets stronger after it’s dried. Improperly dried walls get brittle and break apart easily. This phenomenon of wall strengthening is seen most clearly at “Flood Houses” that are set up inside warehouses to train and certify technicians in water restoration techniques. These houses are flooded each week and a new class performs the proper dry out methods. Interestingly, after about five or so floods, the walls need to be replaced because they get so strong that they will no longer wick water up during another flood and don’t allow for good training at that point. So the next time someone worries their walls are toast on day one of a water damage, reassure them of these facts and let them know the property will be in better shape when you are done than before the flood! Ready to experience the Simsol difference? Let us help you with all your professional estimating needs.